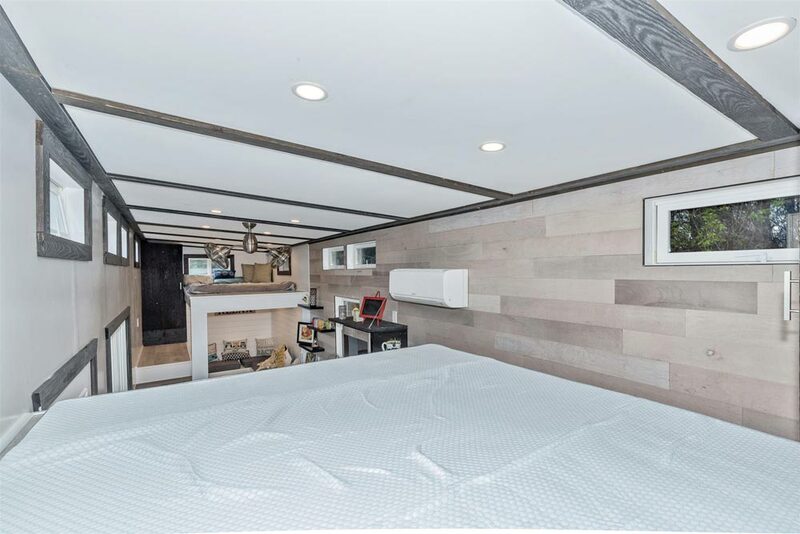 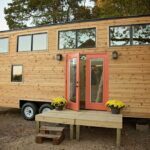 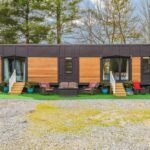 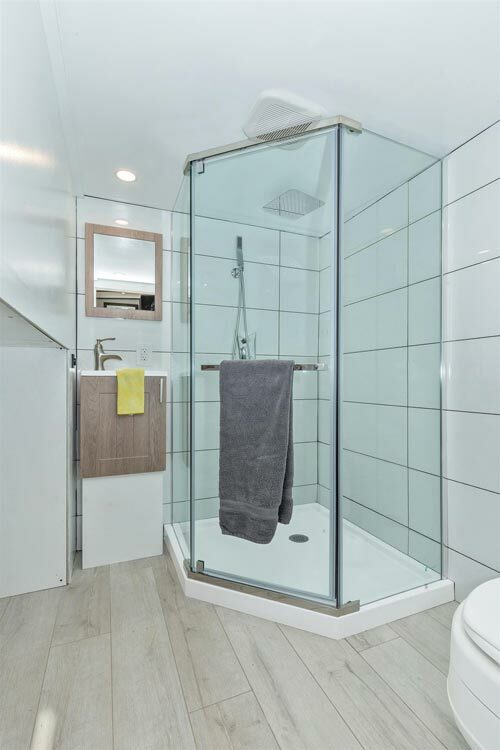 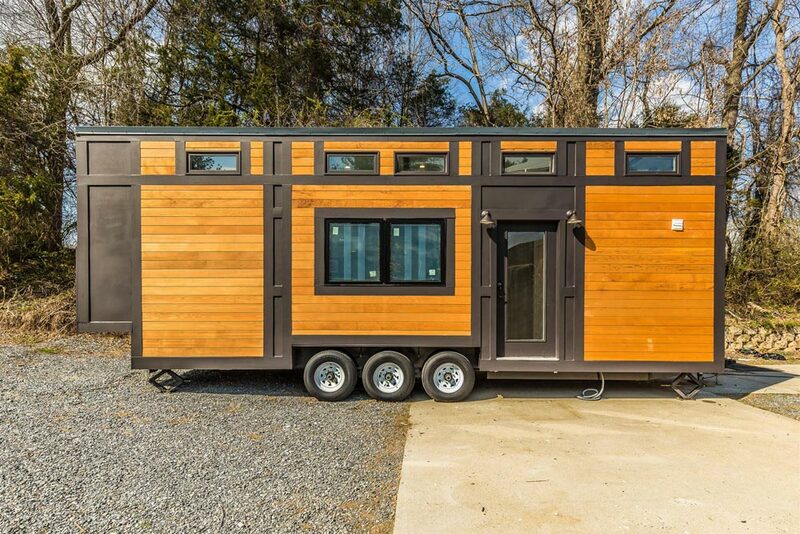 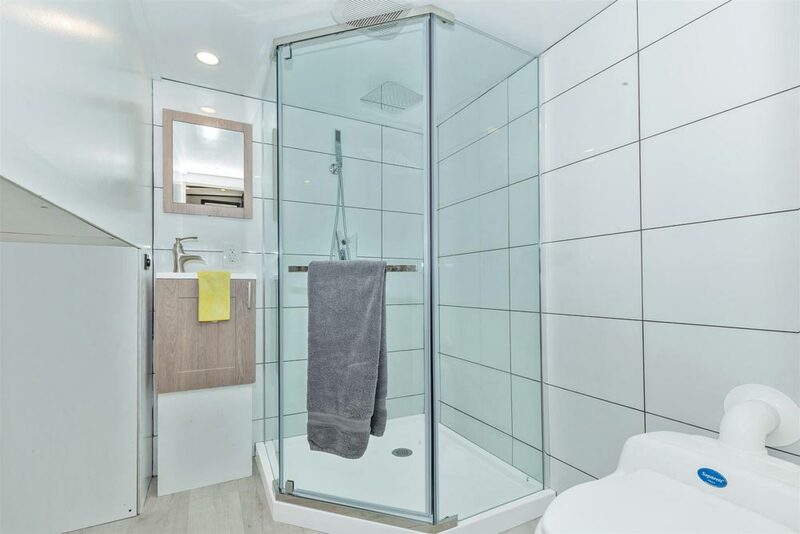 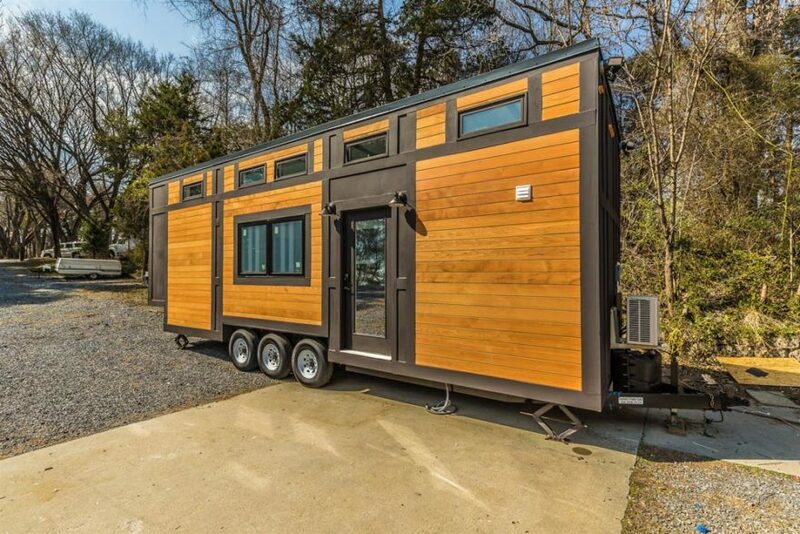 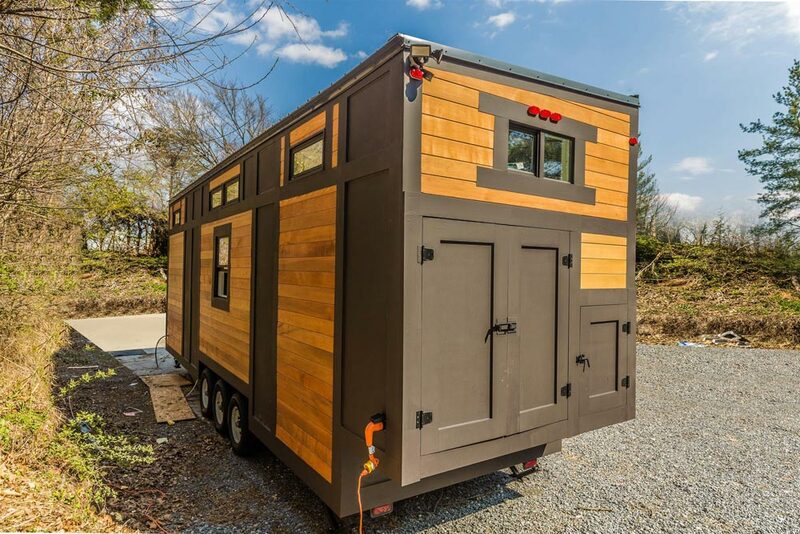 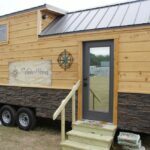 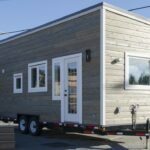 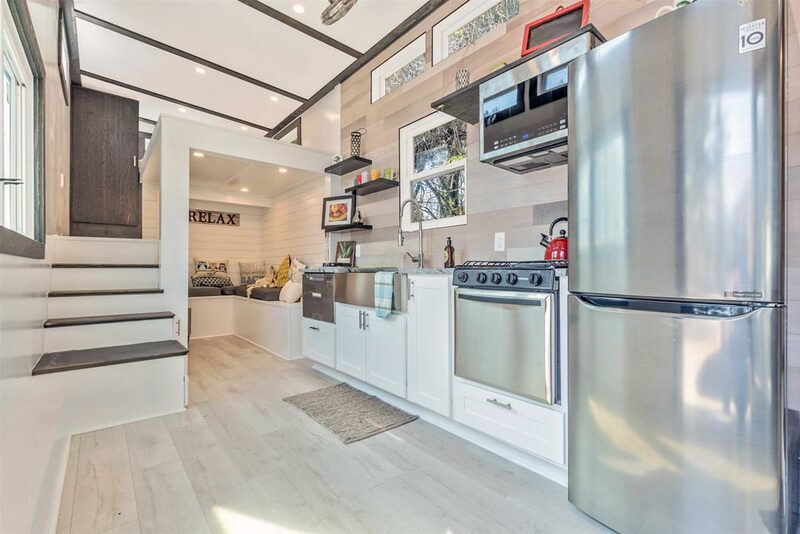 From Germantown, Maryland-based Humble Houses is the 30-foot Sugarloaf, a modern tiny home featuring two bedroom lofts with stair access. 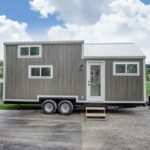 The Sugarloaf was built on a triple axle trailer. 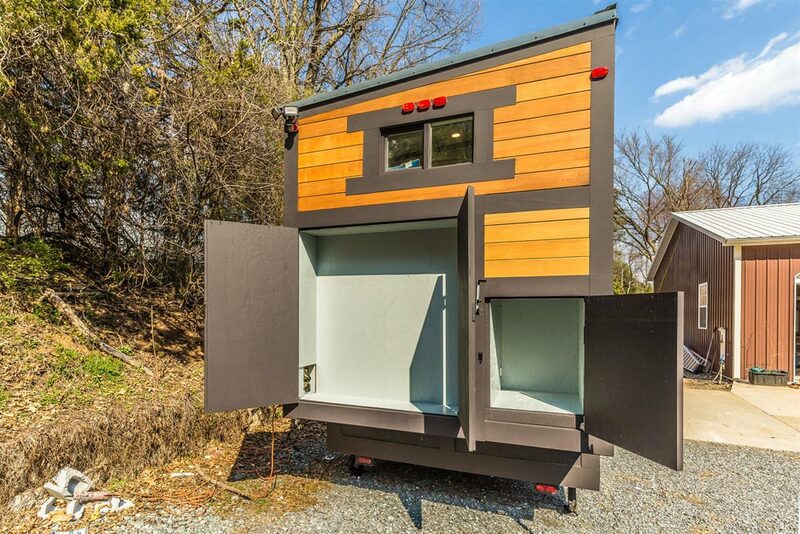 At the rear of the home are two large exterior storage compartments. 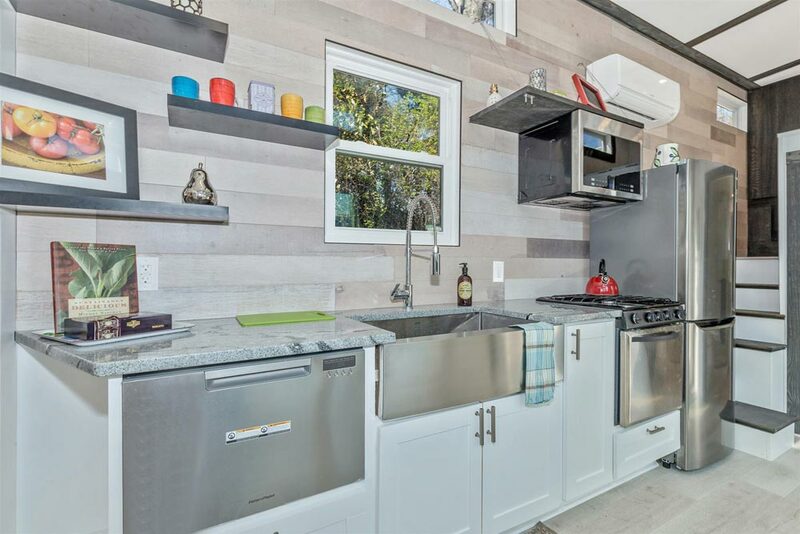 Inside the 380-square-foot home are modern finishes with touches of rustic elements. 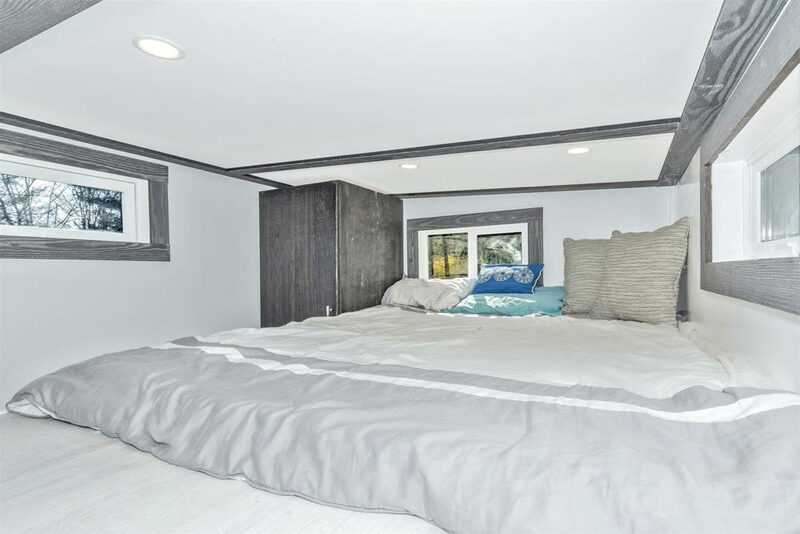 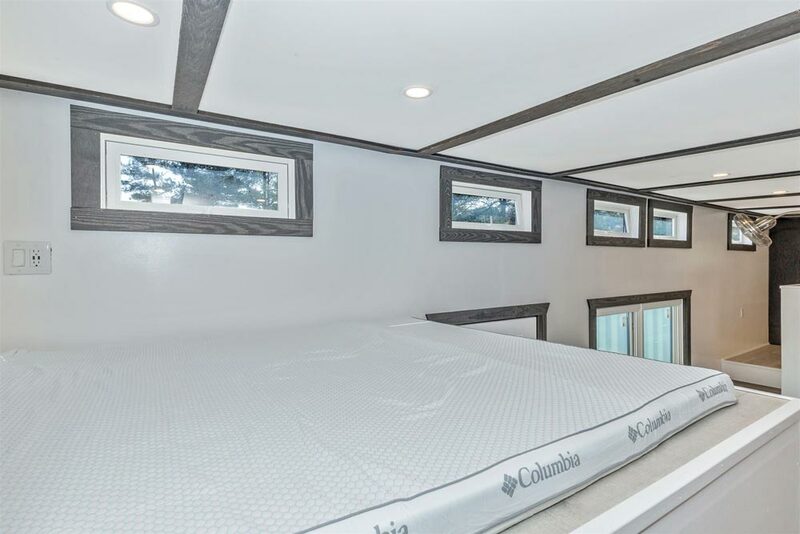 At each end of the home is a bedroom loft. 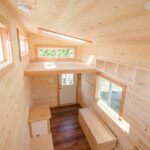 Each loft has a staircase with landing platform and closet. 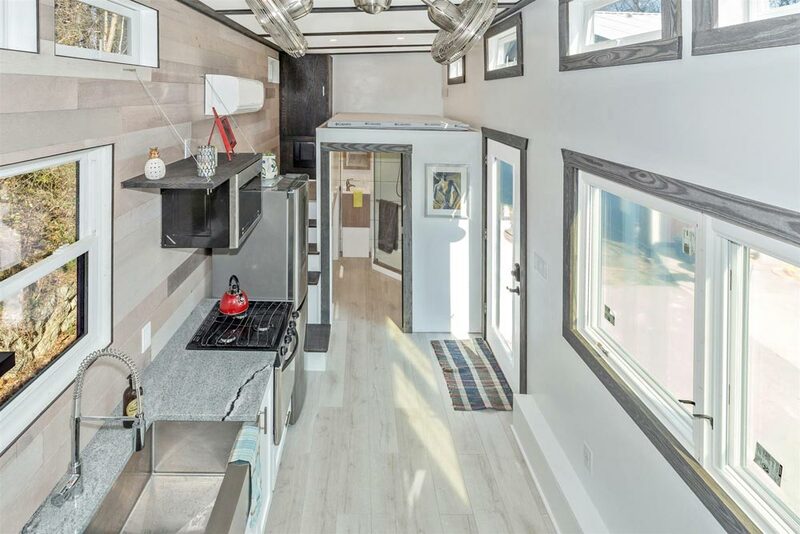 In the middle of the Sugarloaf is the kitchen. 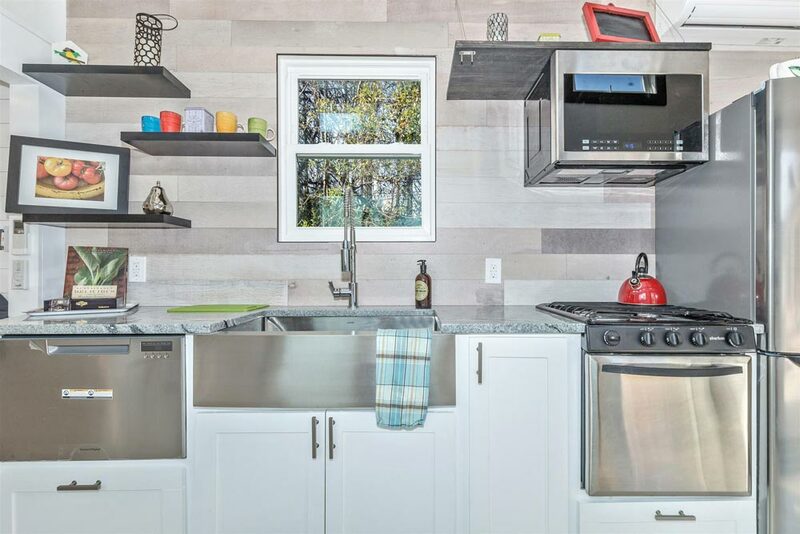 The kitchen includes a stainless steel refrigerator, gas range with microwave vent, dishwasher drawer, and farmhouse sink. 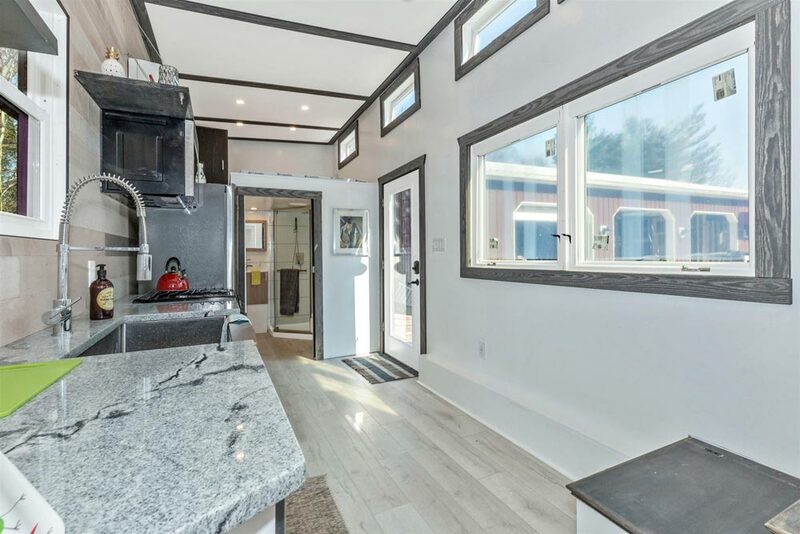 There are granite counters, white base cabinets, and dark stained open shelves. 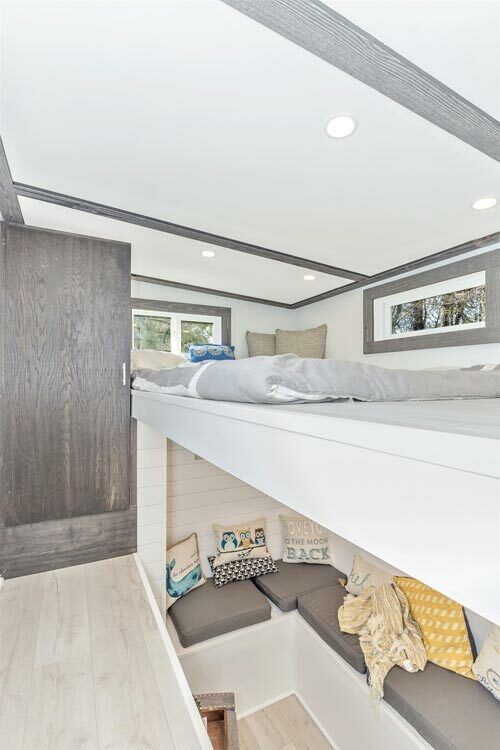 Below one loft is the living area with built-in bench seating and a nook. 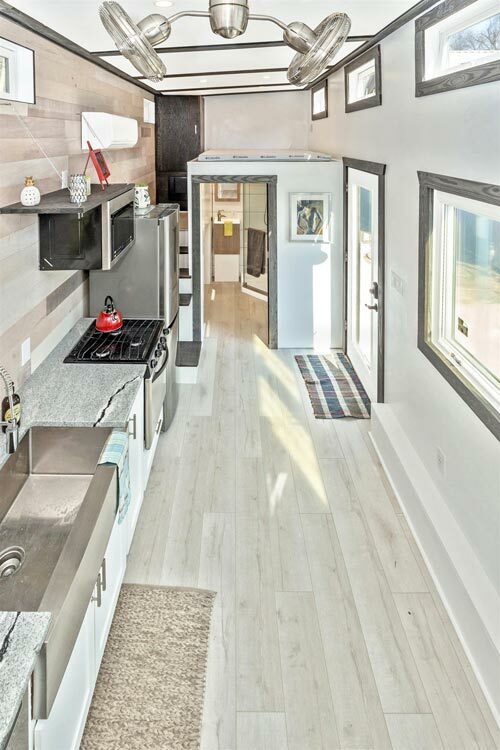 Below the other loft is the bathroom with corner shower, modern sink, composting toilet, and side-by-side washer and dryer. 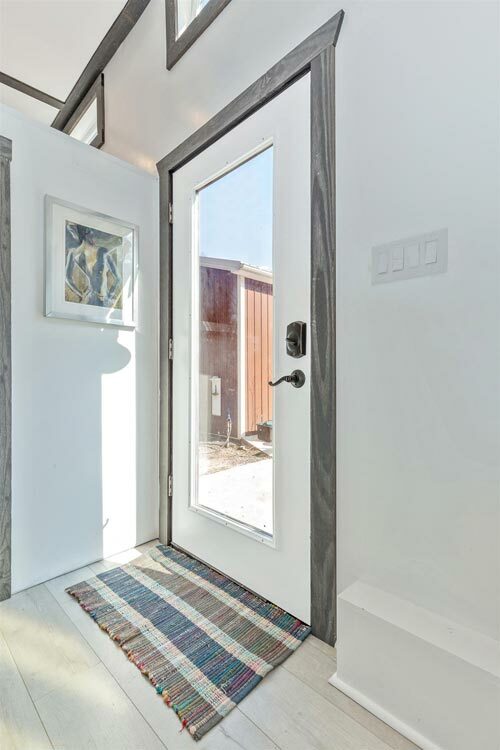 For more information about the Sugarloaf, please contact the builder, Humble Houses. 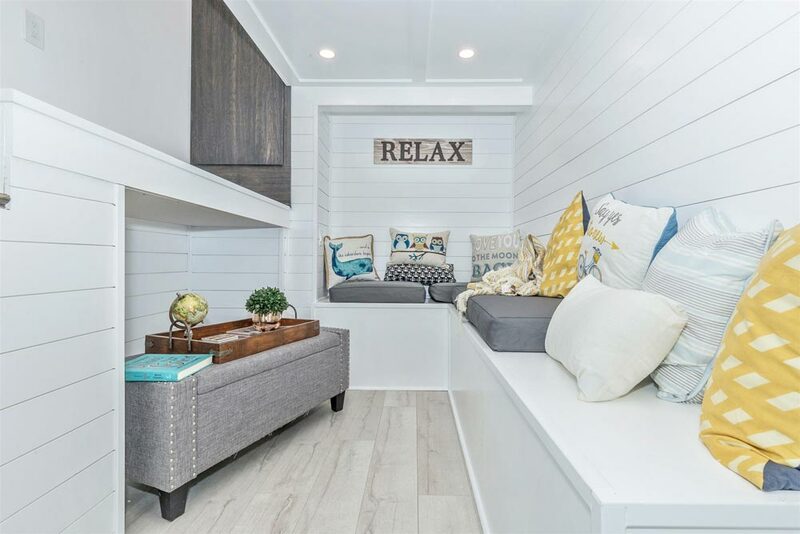 Also available from Humble Houses: Dreamwood, Sanibel.